Emerging technologies such as robotics, big data, the blockchain, cloud computing, and artificial intelligence (AI) have captured the attention of the private sector. From small, agile start-ups to colossal enterprises, many companies are making use of or actively investigating them to make their business more productive, increase efficiencies, and improve their bottom line. These technologies have not gone unnoticed in the public sector, either. Around the world, governments implemented some exciting AI applications, and many more are in progress. The potential is astounding. Many people think of AI as Siri or Alexa, the applications they use on smart devices. Others perceive AI as some futuristic technology that will take jobs away from people and remove any remnants of privacy we still have. And, after four "AI winters," times of great hype and investment that then drops to almost nothing—many are just plain skeptics. 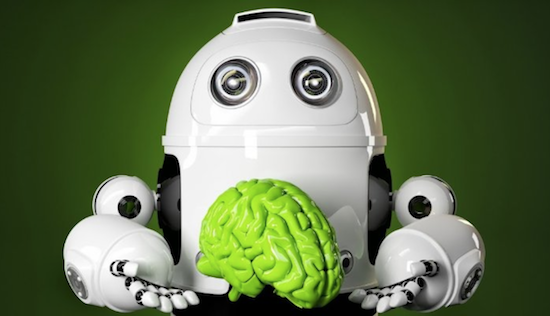 Simply put, AI is a rapidly evolving technology that harnesses the ability of machines to learn and perform cognitive functions, similar to that of the human brain. It incorporates, among other things, learning, problem-solving, speech recognition, and planning. It can take away the mundane, repetitive and time-consuming tasks that many jobs require. It will do these jobs faster, more efficiently, and with a much higher degree of accuracy than a human ever could. That certainly has economic and human impacts to be explored in a later post. What could the use of AI mean in the public sector? The potential applications of AI in government are massive, and many new ones are still to be discovered and developed. There are benefits for all aspects and departments of government. For example, in past health department restaurant testing, restaurants were inspected on a rotating basis but selected mostly at random. AI can mine and develop useful insights from the millions of social media posts that occur every day about restaurants. Using this information, tweets in this example, the Las Vegas health department fine-tuned their selection of restaurants to inspect, based on the content of the unstructured data of social media. The result was an increase in citations, 9,000 fewer cases of food poisoning, and over 500 less food poisoning related hospital admissions over that period. Many local municipalities or government departments are already investing in and using AI in call centers or customer service. The vast majority of calls coming in are fairly basic, repeat questions or routine reports. By making use of intelligent chatbots, this process can be automated. This automation will improve service and user experience, as it will be faster and more accurate. The chatbots can answer questions, provide information, receive, and report information, and guide citizens with applications. For example, the United States Army uses an interactive virtual assistant to check qualifications, answer questions, and refer potential recruits to human recruiters. It does the work of 55 recruiters, and at a 94% accuracy rate that is improving as the machine learns. The Department of Energy's self-learning weather forecasting technology uses machine learning, sensor information, cloud-motion physics derived from sky cameras, and satellite observations to improve solar forecasting accuracy by 30%. Law enforcement, public safety, and criminal justice can all benefit from the power of AI. Facial and image recognition software can quickly and more accurately analyze thousands of hours of video footage in crime or terrorist-related issues, narrowing the search down and showing where people should focus their attention. Again, instead of replacing the human element, it is merely enhancing the process and freeing them up for urgent, feet on the ground tasks, not behind a computer screen for days on end. The United States has already successfully developed a form of 'Predictive Policing' using AI. Historical crime data is analyzed in seconds helping to narrow the suspect search down with great accuracy. Overall, government work, perhaps more than the private sector, is content transfer intensive. The content from one piece of paper is transferred manually to another, to another system, or between systems. There's a set of technologies called robotic process automation that automatically transfers information. This technology means that a child welfare worker can now spend time with families and children, and the parole officer can spend time with parolees. These are just a few examples, but there are huge possibilities for all sectors of government, from social welfare, finance, education, to public transport, and many others. Most government departments around the world are understaffed, underskilled, and face massive backlogs in many areas of their administration. Resources are scarce. As a result, in many cases, service delivery is slow and poor. Artificial intelligence can radically tackle these issues. It can take care of the time consuming, labor intensive administration, speed up internal processes, develop massive cost savings, increase productivity, improve the speed and accuracy of decision-making, identify potential problems before they become major issues, and allow for much better allocation of resources. It will make government more responsive, more efficient, and improve the lives of their citizens. Singapore and Japan are leaders in implementing AI into government, and the United States, Canada, United Kingdom, Germany, New Zealand, and Australia are all moving forward in different ways. Many countries are experimenting with or investigating slightly different applications of technology, and progress is made. The potential benefits of AI are patently clear in the public sector, so expect the usage to rise.